Essentially, Casa FOA is a place for the free development of creativity, a place for designers, architects, decorators and landscapers selected by their talent and prestige to meet and share their searches and findings with the general public. It is the most important interior design exhibition in Argentina, and the spaces are assigned to prestigious professionals and studios, basing on their expertise and the project they present. Casa FOA started in 1985, as a fundraising event by the local Ophthalmological Association; the Fundación Oftalmológica Argentina “Jorge Malbran” (FOA). A growing success since its beginning, Casa FOA is a cornerstone in the country’s cultural agenda. This year, in its 27th edition, it was held at “Casa FOA La Defensa”, Defensa 269, beginning on October 1st. Defensa Street connects the oldest neighborhoods in Buenos Aires. 2500 square meters of a renovated building holds 40 architectural spaces. It is also meant to remember the country’s bicentennial celebration since its declaration of independence. WSDG was invited to participate in Space #14, by the prestigious interior designer Diana Gradel. This is a space that presented a challenge due to its proportions (3.85 x 8.60 meters and 4.50 meters high). 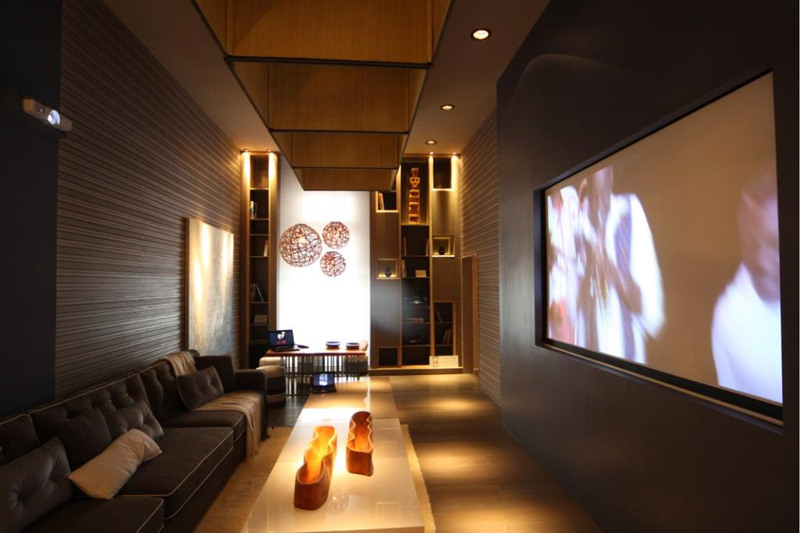 The goal was to turn it into a home theatre where family and friends could share a relaxed meal, movie, or music. 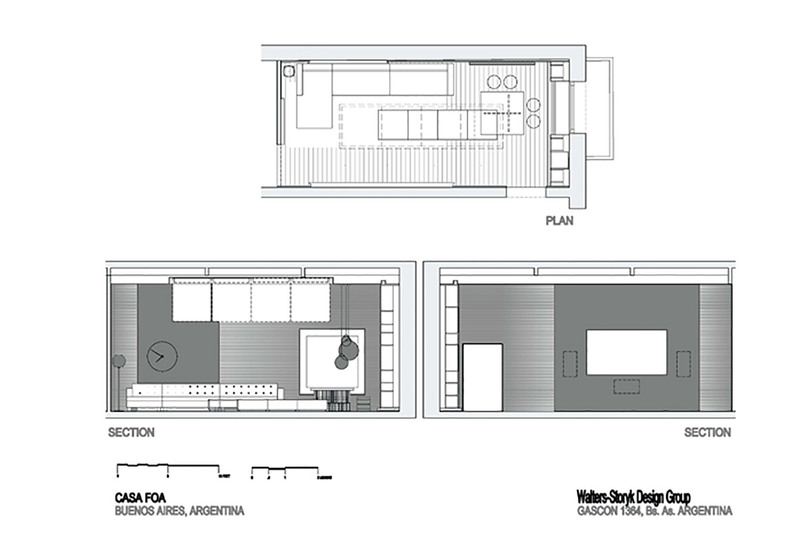 The acoustical planning of the space was carried out by WSDG. Acoustic elements in walls and ceiling helped the acoustical treatment, and the latest technology in AV equipment was applied. The color was extremely important to the project. Warm, neutral colors were used in the floors and walls, following a grey palette, also applied to the library. The window was also treated with translucent curtains of an oriental type, in textures of white. For the cabinets and tabletops, natural patagonian wood was used (ciprés), environmentally harvested from fallen trees. 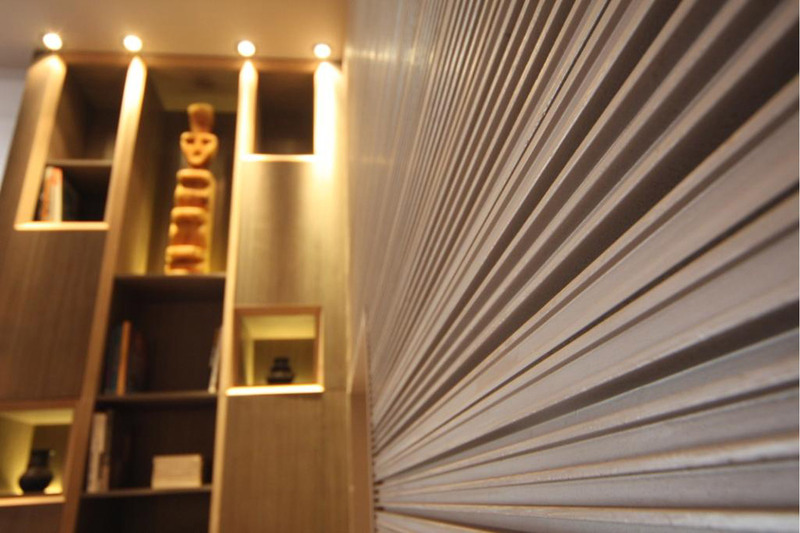 The lighting artifacts were also created with natural fibers in different tones. 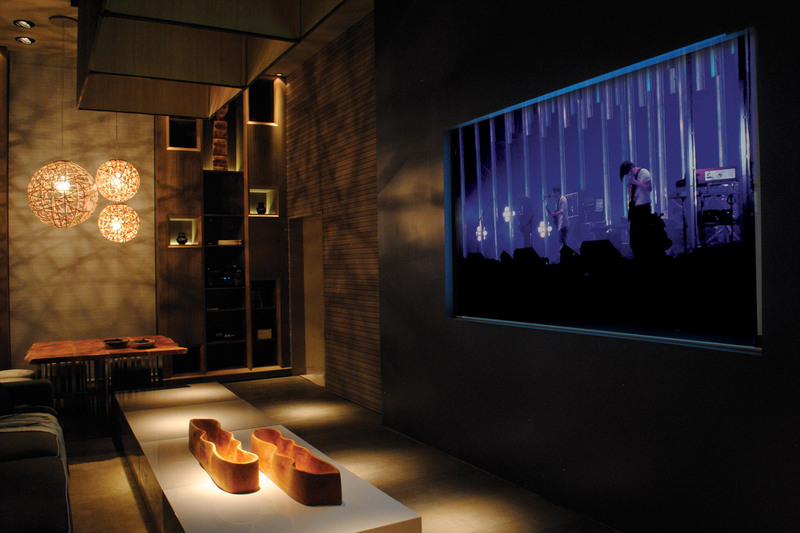 The structure holding the TV was constructed using gypsum boards. 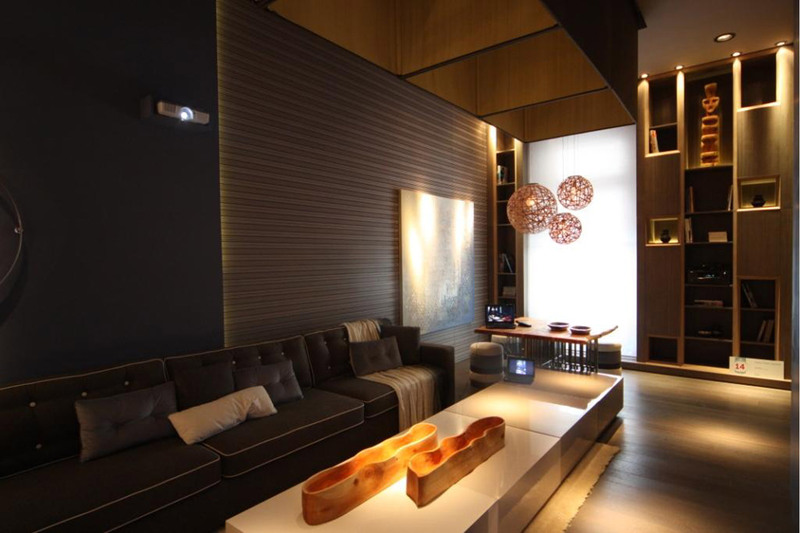 The lighting combines LEDs with halogen lamps, controlled by a lighting scene display. The general idea of the project was to create a warm, friendly, cozy, functional space for a family, with a relaxing atmosphere.